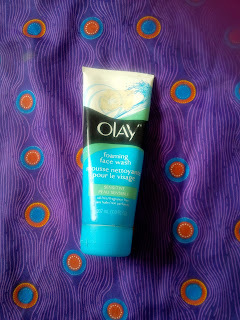 BEST CLEANSERS FOR ACNE PRONE SKIN, SENSITIVE SKIN AND OILY SKIN FOUND IN NIGERIA - Pretty Mundne!!! Contrary to popular belief, the type of cleanser, soap or face wash you use on your oily, sensitive and/or acne prone skin is very important, and there are so many amazing and safe brands of cleanser/washes readily found in Nigeria. 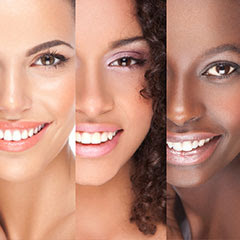 Oily skin is caused by over secretion of sebum(oil) and because of the presence of large pores on the skin of most people with oily skin, this oil peeks through really well and could sometimes get really embarrassing, a great way to reduce oil on the skin is by USING THE RIGHT MOISTURIZER for your type of skin. Acne and oily skin was something I dealt with for a really long while, but thank God I finally found what cured me. I will share with you from personal experience how you can possibly manage your oily and acne prone skin. While there are so many myths surrounding acne and also so many little things we do that aggravate our acne choosing the wrong cleanser can set you 10 steps backward on your journey to healthier skin. The first key to choosing the right cleanser is one word "GENTLE", stay away from cleansers aimed at acne prone skin because most of these cleansers will contain harsh ingredients which will further over dry your skin, thereby triggering your sebaceous gland to produce more sebum. Go for basic cleansers that have no active ingredient, especially if you are using any creams or ointments with an active ingredient, it will work best with a gentle cleanser. (Most neutrogena cleansers have salicylic, and this is good for acne prone skin, but for some reasons neutrogena products will break you out, I never knew why but I realised that it is because the cleanser doesn't penetrate deep into the skin. 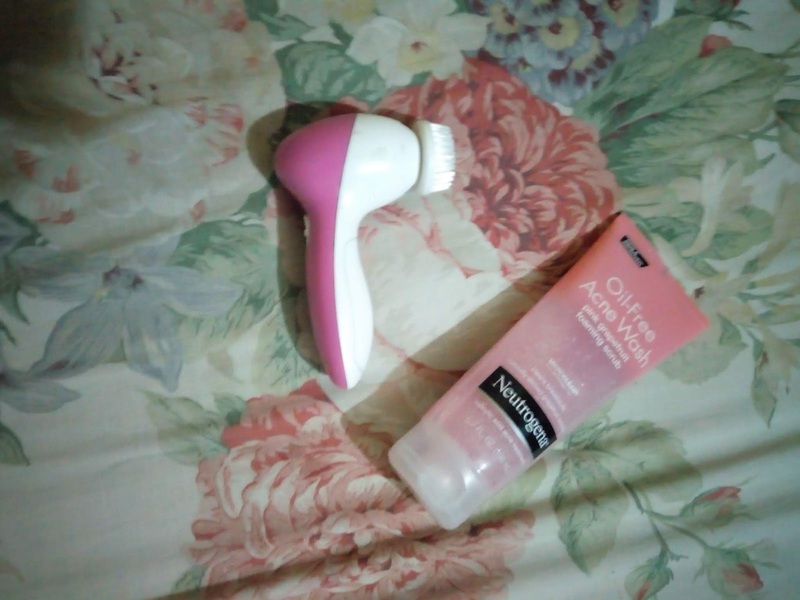 If you have acne prone skin and large pores the neutrogena cleansers will only work for you if you use it with a spin brush but if you don't have one, do not use it). Another thing to look out for is parfum or fragrance, this is especially for my sensitive and acne prone sisters, parfum can greatly aggravate your acne(but if your skin isn't so sensitive then you should be okay). If you follow my blog regularly, you would remember what I said about acne and soap, products containing soap base can be overly drying to the skin thereby triggering your sebaceous gland to compensate for the dryness which will cause your skin to be overly oily. 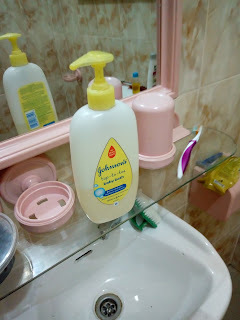 The Johnson's top-to-toe no more tears baby bath is my best cleanser/face wash that can be found in the Nigerian market, it cost just 2000 naira and I got mine from the sahad store in Abuja Nigeria and I do not regret it. It is in a 500ml bottle and is the exact dupe for the acne.org cleanser. Cetaphil soap and cleanser is a really great example, it cleanses the skin without over drying it and it contains no parfum or harsh chemicals, this goes for about 6500 naira now and it is a really huge bottle which should last you a long time. I cannot wait to get my hands on this again. When I started my journey to clear skin this was one of the cleansers I used, it had little micro beads in them which gently exfoliates the skin, thinking of how calming this made my skin makes me want to go buy this again. I got mine at a dermatology clinic in Abuja called PRIMA DERMA (you can reach them on facebook for more info and no this is not a sponsored post) for 3000 naira, it lasts a good while and for a healthy skin I did not mind the cost. The only thing is that I will advice this to people who have acne but whose skins are not sensitive and also if you are on any other topical acne treatment do not use this. I﻿ spoke about this acne.org cleanser in my how I finally found what cured my acne post, this is hands down the best cleanser I have ever used, it will clean your face really well but is very gentle on the skin. 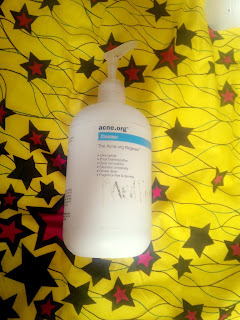 This cost about 12 dollars and you can find out how to get it here in Nigeria along with the whole acne.org regimen at a good shipping price. I did a thorough review on this face was recently and I have raved about this before, so I am not about to do that again of course but this is my go to, it is really affordable and last a good while. This cost between 1800 naira-2000 naira. 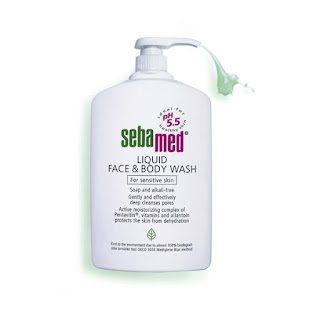 Sebamed is also another great option, it has no soap base and it was made with the right pH for the skin. I know I said look for gentle cleansers, but if you read the number one instruction I wrote, you will know why this cleanser is here. Please do not use this if you do not own a spin brush or are on some kind of cream or ointment for acne. Hope you learned something today, thank you so much for reading. What cleansers or soaps are you using that you found in the Nigerian market, leave your comments below I would love to hear from you﻿. nice one,watching omabelle on youtube got me to search for acne.org where i got ur post n i finally visit ur blog. u re doing a great job. i used clean n clear bt im nt getting d result raara. Acne.org will be gud bt expensive,i will go for sebamed bcs ve used d baby soap for my baby n i really liked it. Yes, a good charcoal mask will do, But you can DIY yours using elmers glue and activated charcoal.... But honestly if you are in nigeria getting a quality charcoal mask is so expensive. Feel free to ask any other question.